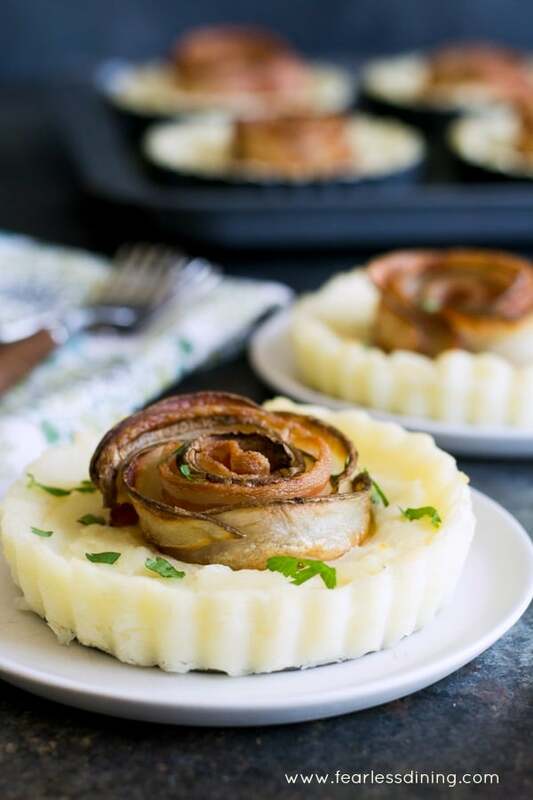 One bite of this Mashed Potato Pie with Potato Bacon Roses is all it takes to be hooked. Thanksgiving is quickly approaching and these little pies make the perfect side dish for any holiday party. I had such a tough time naming this recipe. This is the first time I have struggled to name a recipe. There are so many words to describe this mashed potato side dish. I could call it a bacon rose tart or even a baked mashed potato cake. Any of these names would work, but none really describe the sensation of potato and bacon flavors meshing together to create an incredible combination. Whatever you decide to call this side dish, the star of the recipe is really the potatoes. I was so excited to partner with the Idaho® Potato Commission for this post. Being gluten-free, our family eats a LOT of potato dishes. My kids love potatoes, even my picky one! You can see all of my delicious potatoes recipes on my blog here. The base part of this pie is the mashed potatoes. This is the best leftover mashed potato recipe ever! If you have leftover mashed potatoes, you have most of this recipe’s ingredients already made!! Idaho® Potatoes are high-quality potatoes that are available all year long. 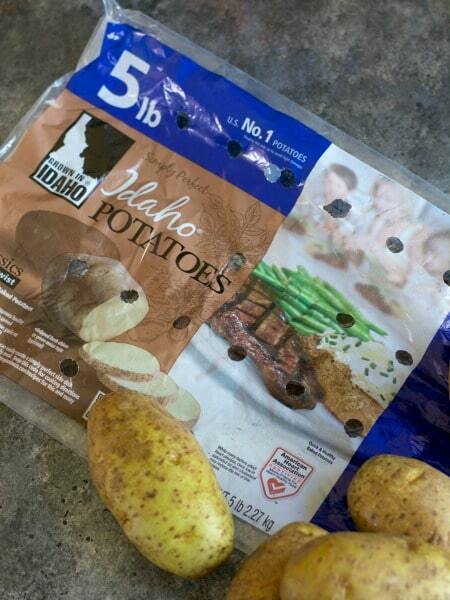 Just look for the Grown in Idaho label on your potatoes. Grown in Idaho exclusively, Idaho® potatoes are known for their low-moisture. This low-moisture content means your baked potatoes will be fluffier, and your fries will be crispier! 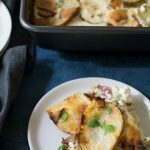 For this mashed potato pie recipe, I used Russet potatoes because I wanted the potato roses to be nice and crispy. Russet potatoes are also large, which I needed to shape the potato roses. These potato bacon roses are really easy to make! 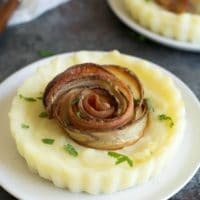 I wrote a tutorial on my blog how to roll a potato bacon rose a while ago that you can read as well. I am going to walk you through it here as well. First, you want to use Russet potatoes for this recipe. You don’t want the potato roses to get mushy, which can happen with a waxier potato. Use a mandolin slicer to cut the potato into thin slices. You want to slice the long way so that you get long slices. Lay a few slices of potatoes so that they overlap but make a six-inch long row. Lay a piece of raw bacon on top of the row. 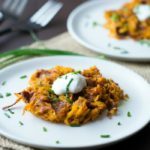 If you need visuals, just check the potato bacon recipe linked above. There are photos of every step. Next, you want to roll the potato rose really tightly. Add the rolled rose into a muffin tin as shown below. Bake for 45 minutes until the roses look crispy. Peel the russet potatoes and cut them into large pieces. Add them to a pot and cover with water. Cover the pan and bring to a boil. Cook until the potatoes are soft. Drain the potatoes in a colander and add to a large bowl. 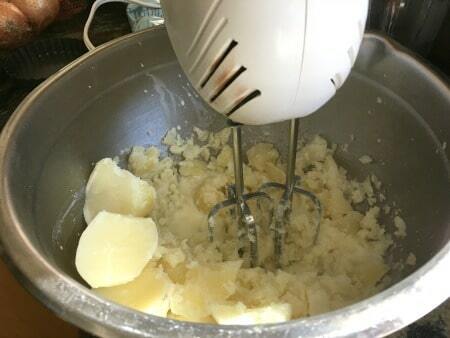 Add the liquid ingredients, butter, salt, and pepper to the potatoes and use an electric mixer to whip them. Beat until they are creamy. 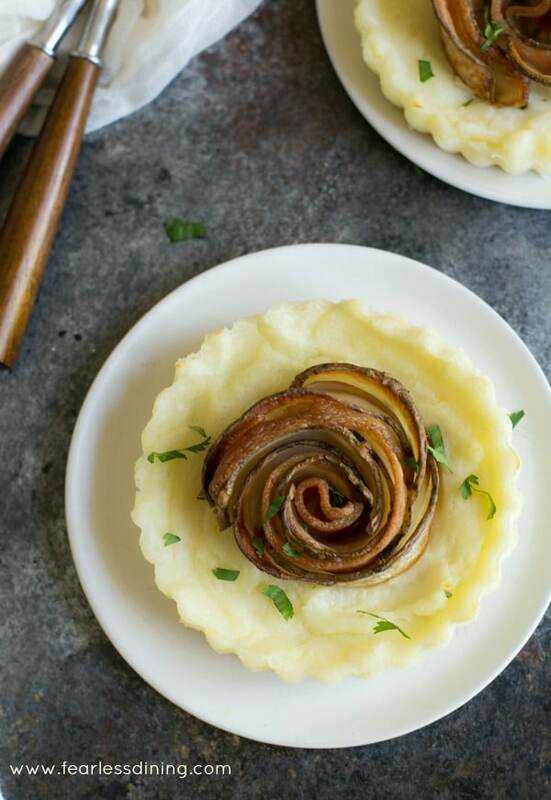 Add the mashed potato to round tart pans. Note that the potatoes are a little thicker than what I would make if they were being a side dish on their own. They hold their tart shape a little better when the potatoes aren’t as fluffy. 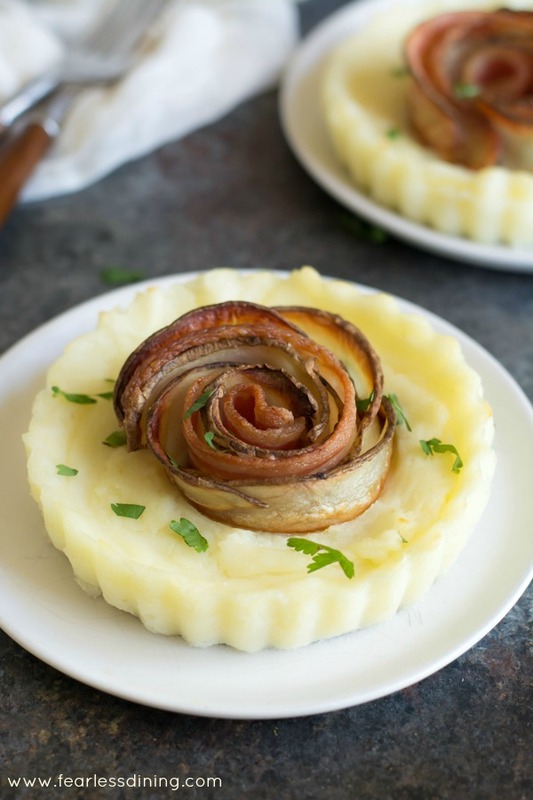 Add a baked potato bacon rose to each mashed potato tart. These mashed potato pies come out beautifully every time! 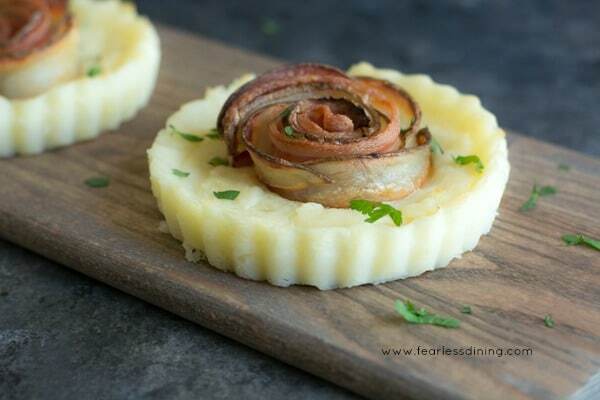 A delicious potato side dish with potato bacon roses. 3 Idaho® russet potatoes, for slicing, leave peel on! Use a mandolin to slice the potatoes lengthwise. 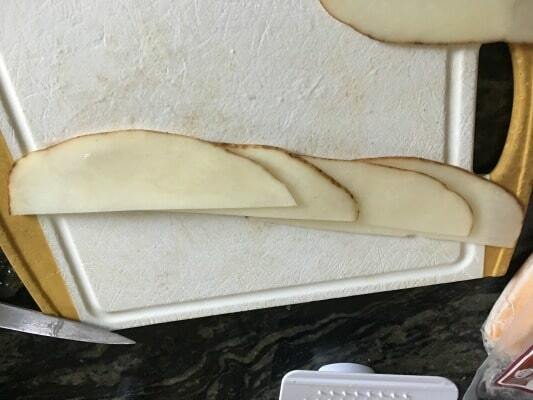 Slice the top curve off of the potato slices. This will be the flat bottom side. Lay the slices in a row, so that they all overlap. You want this to be 5 inches long. Peel russet potatoes (all but 3). Chop and add to a pot of water. Boil the potatoes until they are soft. Drain in a colander. For the mashed potatoes. 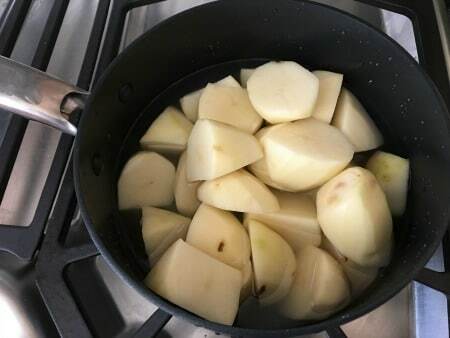 Add the boiled potatoes, cream, butter, salt, and pepper to a bowl and beat them with an electric mixer until they are creamy. Spray round mini tart pans with olive oil. Fill each with mashed potato until it is full. 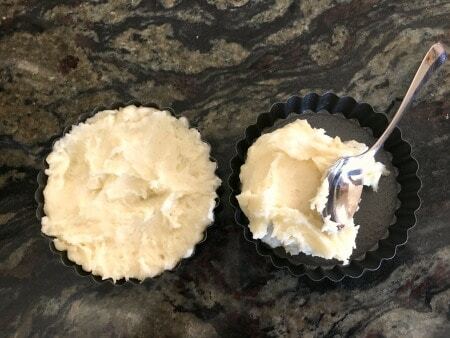 Spread the mashed potato so that it is brushed against all sides of the tart pan. Bake the pies for an additional 20 minutes. The potato will puff up around the potato bacon rose. This is the most beautiful looking side dish I have seen! 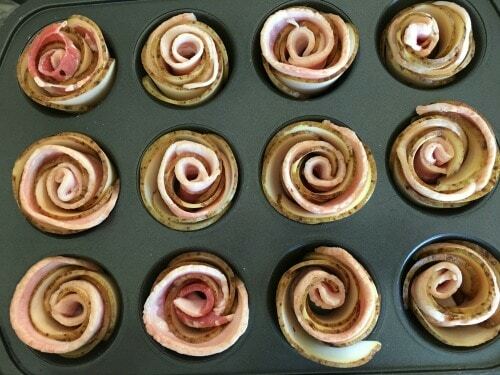 Those bacon “roses” are very creative. 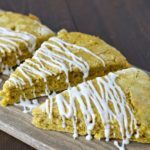 Thank you Rini, I bet this recipe would work with vegan bacon too! Oh my goodness you had me at bacon rose! This is the most elegant potato dish I’ve even seen, I can wait now to try it! These are so cute! 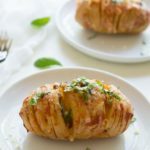 Such a great idea to make bacon potato roses, I’ve only ever seen it done with apples before, I imagine they are really crispy and delicious! These are adorable, and such a good idea! I love how you took two run-of-the-mill ingredients usually used in comfort food and made them elegant. 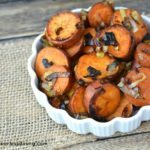 That design is so smart and it really makes a common side dish extra special. Holiday worthy! These are almost too cute to eat, but I definitely would! Those bacon roses are awesome! This is just super fun, Sandy! I love the presentation. Thanks for sharing! WOW. I don’t think I’ve ever seen fancier mashed potatoes. Such a cute idea to make bacon roses – love.